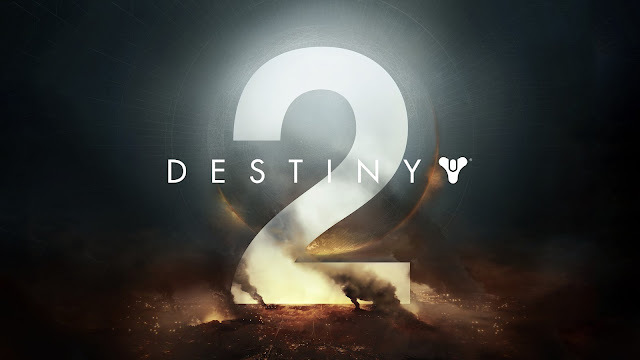 On Thursday the reveal for Destiny 2 was on and we got to find out lots of juicy things! There are new subclasses and they tweaked the existing ones. 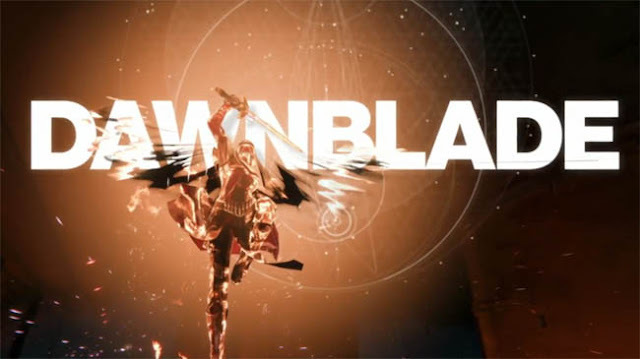 One of the new subclasses is the 'Dawnblade' - the 'Striker' and the 'Gunslinger' we know from Destiny 1. I've listed below the subclasses and the new/tweaked abilities. I only managed to get what they showed on streams and YouTube channels ... some of the new classes they didn't show like the arcstrider. "Dawn comes on swift wings"
Solar Grenade - a grenade that creates a flare of Solar Light which continuously damages enemies trapped inside. Firebolt Grenade - a grenade that unleashes bolts of Solar Light at nearby enemies. Fusion Grenade - an explosive grenade that causes bonus damage when attached to its target. Daybreak - press L1 + R1 to weave Solar Light into blades and smite your foes from the skies. Healing Rift - press and hold O to conjure a well of Light that continuously heals those inside it. Empowering Rift - press and hold O to conjure a well of Light that increases the attack power of those inside it. Controlled Glide - glide jump ability provides better directional control while in the air. Balance Glide - glide jump ability provides bonuses to both speed and control. Focused Burst - glide jump ability provides an initial boost of speed. Phoenix Dive - Hold O while in-air to quickly descend and regenerate health. Skyfire - while Daybreak is active, descend causes explosive damage where you land. Risen Angel - while in air, aim your weapon to hover in place for a short time. Dealing precision damage extends this effect's duration. Igniting Touch - a powerful melee ability that ignites enemies and causes them to explode. Firestarter - a powerful melee ability that damages enemies while also increasing your movement and reload speed. Wild Fire - engage your enemies mid-flight. Fire weapons and throw grenades while gliding. Everlasting Flames - killing an enemy with Daybreak extends its duration. Blazing Dash - press O, O while midair to dodge. "At close quarters a fist is better than any gun"
Lightning Grenade - a grenade that sticks to any surface and emits bolts of lightning. Pulse Grenade - a grenade that periodically damages enemies inside its explosion radius. Flashbang Grenade - an explosive grenade that disorients the enemies it damages. Towering Barricade - a large barrier (Hold O) that can be used for cover or to seal off dangerous areas for a short time. Rally Barricade - a small barrier (Hold O) that allows you to peek over it while aiming down sights and instantly reloads your equipped weapon when you take cover. Increased Height - upgrades lift to travel to greater heights. Increased Control - upgrades lift for better directional control while in the air. Catapult - upgrades lift to provide a strong initial burst of momentum. Fist of Havoc - press L1 + R1 to supercharge your fists. While First of Havoc is active, press R2 to slam the ground with the force of a maelstrom, and press R1 to smash shoulder-first into your enemies. Magnitude - increases the duration of Pulse Grenades, Lightning Grenades, and Aftermath. Aftermath - Fist of Havoc disorients enemies and leaves a damage-dealing field in its wake. Aerial Strike - Fist of Havoc deals more damage the longer its in the air. Shoulder Charge - after sprinting for a short time, press R1 to slam shoulder-first into your target. Frontal Assault - a powerful melee punch that grants you increased weapon stability. Reversal - melee kills immediately trigger health regeneration. Knockout - breaking enemy shields increases your melee range. Trample - Fist of Havoc lasts longer while sprinting. Killing enemies with Fist of Havoc extends its duration. "A lone wolf who lives for the perfect shot"
Swarm Grenade - a grenade that detonates on impact, releasing multiple drones that seek nearby enemies. Golden Gun - press L1 + R1 to summon a flaming pistol that disintegrates enemies with Solar Light. Marksman's Dodge - automatically reload your equipped weapon when dodging (O, O). Gambler's Dodge - dodging (O, O) near enemies generates melee energy. High Jump - upgrades double jump with even greater height. Strafe Jump - upgrades double jump with better directional control while in the air. Chains of Woe - precision kills increase weapon reload speed for you and nearby allies. Bombs for Bullseyes - precision hits generate grenade energy. Six-Shooter - Golden Gun can be fired quickly up to 6 times but had a shorter duration. Explosive Knife - throw a knife at enemies that explodes shortly after impact when melee energy is full. Knife-Juggler - throw a knife at enemies when melee energy is full. A precision kill with this ability immediately recharges it. Gunslinger's Trance - enter a trance with each precision kill, reducing the cooldown of your Golden Gun. Crowd-Pleaser - precision hits with Golden Gun generate Orbs of Light for your allies. Line 'Em Up - precision hits with Golden Gun increase its damage and extend its duration. Let me know in the comments what your most excited about ... ?